The Food and Drug Administration is warning people not to eat cantaloupes from a southeastern Colorado farm after investigators found a contaminated melon in a store, the first time Listeria has been linked to cantaloupe in the U.S.
Jensen Farms spokeswoman Amy Philpott said Thursday one of the farm’s Rocky Ford cantaloupes tested positive for the bacteria, but more tests are needed to determine if it’s the same strain linked to the outbreak. “We were informed that there was a positive test, but we don’t know if it was linked to the outbreak,” Philpott said. She said she did not know the state or the store, or the agency that found it, and the recall was voluntary. The tests were first reported by KMGH-TV . The farm stopped harvesting on Monday when Colorado health officials issued an alert and notified retailers to remove the cantaloupes from shelves, Philpott said. The farm provides about 40 percent of the area’s cantaloupes, she said. The Centers For Disease Control and Prevention said one person died in Colorado and one in New Mexico. New Mexico has blamed three deaths on the outbreak, but epidemiologist Chad Smelser said Thursday that one death has been confirmed and the other two are pending results from the CDC. The CDC said it was trying to clarify the discrepancy. The agency said it was the first Listeria outbreak linked to cantaloupe in the United States. Colorado Agriculture Commissioner John Salazar said the contamination might not be the cantaloupes but a truck or other source. Still, several Colorado grocery chains pulled their supplies as a precaution, and New Mexico issued a voluntary recall. 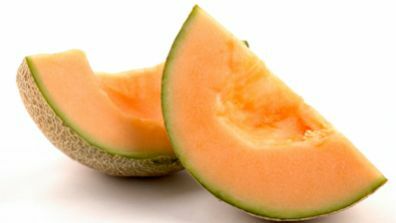 The cantaloupes were shipped between July 29 and Sept. 10 and distributed throughout Colorado, Wyoming, Nebraska, Utah, Kansas, Texas, Oklahoma, New Mexico, Arizona, Illinois, Minnesota, Missouri, Tennessee, North Carolina, New Jersey, New York and Pennsylvania. Listeriosis is a serious infection usually caused by eating food contaminated with the bacterium Listeria monocytogenes. The disease primarily affects older adults, pregnant women, newborns and adults with weakened immune systems. Symptoms can include fever, muscle aches, diarrhea, headache, stiff neck, confusion and convulsions.